It covered almost 10 months and culminated in a flurry of late submissions, but the Listening and Dialogue phase of the Plenary Council has yielded a remarkable foundation from which the people of God can move forward. Late last week, the National Centre for Pastoral Research (NCPR) completed the statistical analysis and reported that more than 17,500 submissions had been lodged — thousands of which represented groups. In all, more than 222,000 people either made an individual submission or participated in a group discussion that culminated in a submission. Read more below or head straight to the story here. More information on the upcoming aspects of the Plenary Council is outlined below and will be included in future editions of Plenary Post. Paul Bowell and Trudy Dantis from the National Centre for Pastoral Research discuss how the NCPR is helping coordinate the review and analysis of the more than 17,500 submissions received during the Listening and Dialogue phase. Last week I visited Rockhampton and joined 170 people from all parts of the Rocky Diocese for their diocesan assembly – the culmination of two years of listening sessions across the region. The opening pages of the handbook for the assembly described it as a gathering to “focus on the mission of the Diocese and those topics with a ‘Whole of Diocese’ perspective that emerged from the listening sessions”. It was an experience of a truly synodal Church: the people of God gathered together, speaking truth, listening deeply to one another and to the Holy Spirit and making decisions together. The gifts of many contributed to making the whole event a resounding success and I have no doubt that the resulting pastoral plan and strategic directions for the Catholic communities of the Diocese of Rockhampton will chart a missionary pathway toward a strong and faith-filled future. Even though the Listening and Dialogue stage for the Plenary Council is closed, I encourage all people to continue the habit of dialogue. Continue speaking with one another, sharing your stories of faith, courageously asking questions to understand one another more deeply and letting God guide our decisions for mission. Doing this can bring about deep encounters with Christ, it can transform and form culture towards God’s mission and renew all of us as the Church. Right now, the Plenary Council facilitation team is working on the advertisements, job descriptions, terms of reference and other supporting collateral for the Working Groups – the collaborative teams of people who will draft the papers in response to the Listening and Dialogue submissions. Those papers will become the foundation for the Plenary Council agenda. Stay tuned to this newsletter for more information on the Working Groups. In the meantime, celebrate the achievement of over 222,000 people having been a part of the process until now and think about the kind of Church we are becoming through the encounter of Christ in one another. Thanks to all of you. Your giftedness, faithfulness and resilience is inspiring. Can I pray for the success of the Plenary Council? Yes, you can. 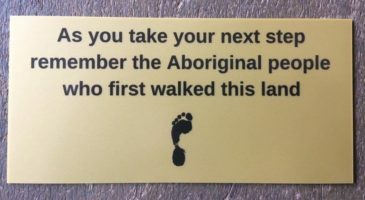 And we’d be most grateful if you did. The Plenary Council prayer was composed to coincide with the opening of the Plenary Council process at Pentecost 2018, but it will guide the three-year journey towards the final session in May 2021. You can access the prayer here in multiple formats. The sexual abuse crisis may force us to be humble, compassionate and accountable in a way we would never have chosen. We have been taken down from the pedestal of virtue and power and freed to know shame and feel powerlessness. Instead of showing mercy, we need mercy. We cannot demand forgiveness and many survivors may never be able to forgive us. We are powerless and must accept that. However, having needed mercy, we may be better able to show it. Knowing our need for mercy may also free us to listen and discern during the Plenary Council processes. We come to dialogue less superior and with a commitment to listen attentively, to trust the intentions of others and to let go of our assumptions or biases. British journalist and papal biographer Austen Ivereigh has told a Catholic gathering in western Sydney that the Plenary Council 2020 process is being watched by people around the world as it gathers momentum. 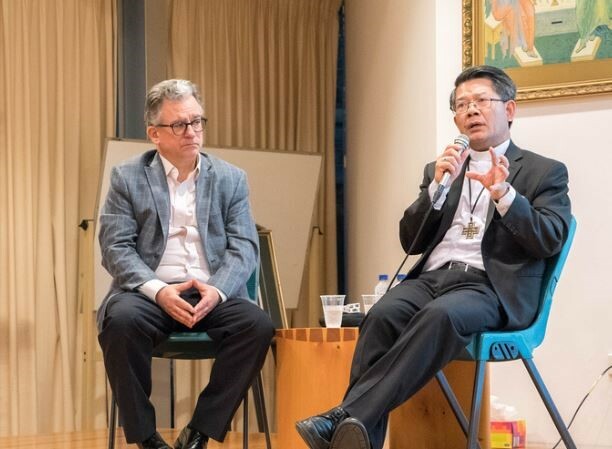 Dr Ivereigh participated in a conversation with Parramatta Bishop Vincent Long van Nguyen OFM Conv last month on the pontificate of Pope Francis. During their chat, talk shifted to the Plenary Council. According to a report in Catholic Outlook, Dr Ivereigh expressed his enthusiasm for the Council, saying it’s an opportunity to engage in true discernment — an essential “mechanism towards renewal”. He acknowledged that there would be cynicism and scepticism about the process, but he encouraged people to keep their expectations modest and to remember that the Spirit is working throughout the life of the Council. Click here to read more from Catholic Outlook. Leaders of the Church’s inter-religious dialogue have used the Plenary Council process to consider how Catholics can better engage with people from different faith traditions in the future. 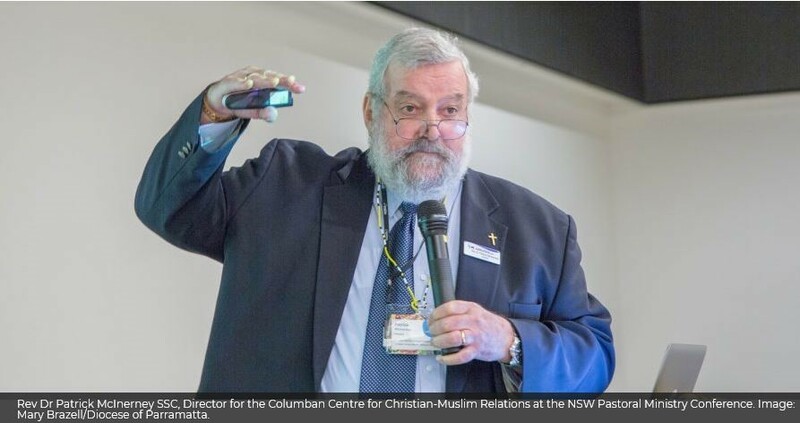 Rev Dr Patrick McInerney SSC, director of the Columban Centre for Christian-Muslim Relations, wrote that representatives from the Sydney, Parramatta and Broken Bay dioceses expressed a hope that the Church would encourage and enable “transformative encounters between other Catholics and people of different religions”. 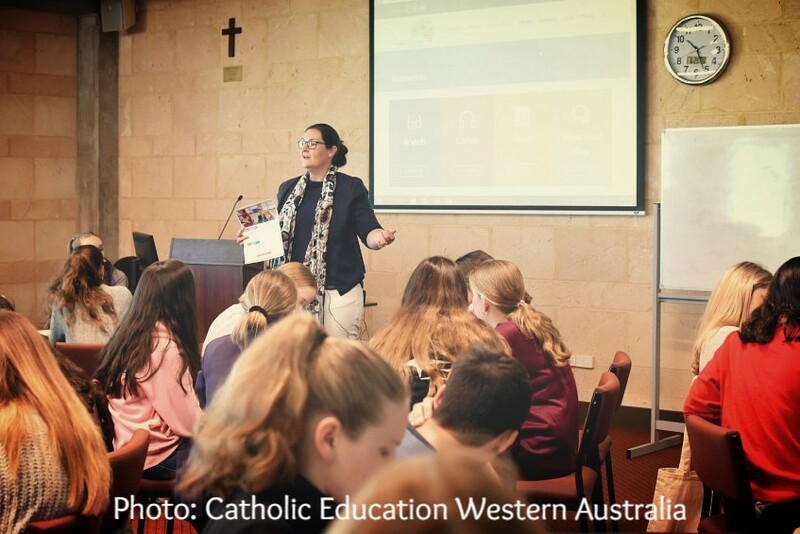 “We agreed that if Catholics are to engage with their neighbours, in our multicultural, multi-religious Australian society, this means reaching out to people of all faiths and belief systems. If not, the Church will become isolated and turned in on itself,” Dr McInerney wrote. The group called for practical changes to the Church’s approach to interfaith relations, including establishing diocesan commissions, joint advocacy on social justice issues and better work to train young people on how to engage in inter-religious dialogue. 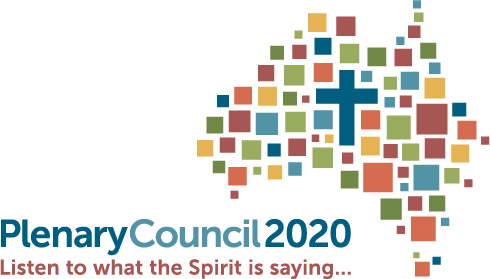 Plenary Council 2020 is active online.